Since I moved out from home almost 3 months ago now, I’ve been on a real learning journey on saving money and budgeting. It’s completely changed how I look at spending and has made me far smarter with budgeting and saving money. 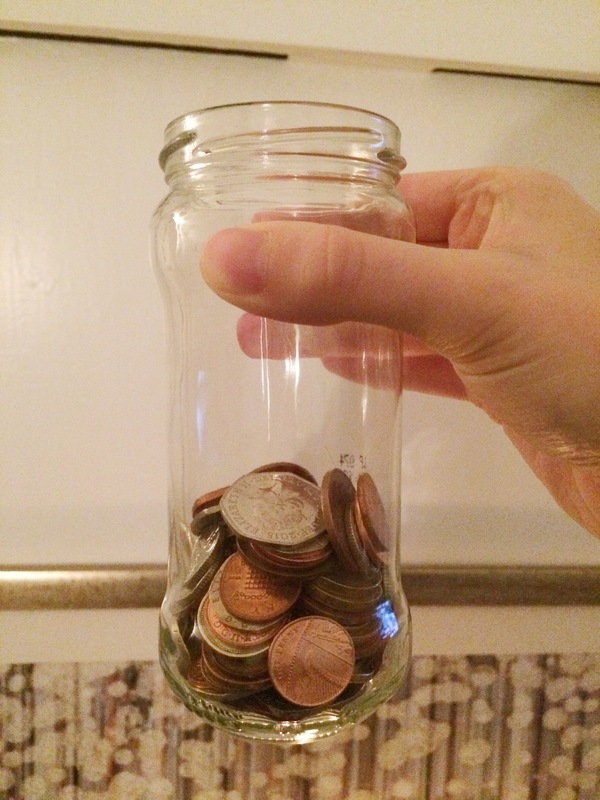 I started a little experiment with myself about a month ago, whereby I decided to dump all of the change I had in my purse at the end of the day into an old pasta sauce jar just to see whether I would miss those coins and if they would add up. I’ve been putting any denomination of coin into this jar, be it 1p or a £2 coin. Whatever is in my purse. Well I can honestly say I have not missed those coins in the slightest. I completely forget about them in all honesty. I really didn’t think the jar was filling up much at all, as it’s only about 1/3 full, and was feeling a little annoyed that I wasn’t getting the volume I was expecting. However I decided to count the coins tonight, just to see how much was in there. In just 1/3 of this jar I have saved almost £20! Now I know this isn’t a life changing amount of money, but this is money I would have otherwise frittered away on sweets and other unnecessary items which will either be thrown away or I really won’t appreciate. I’ve also been known to literally throw 1p and 2p coins in the bin as I didn’t think they were useful for anything. I’ve decided that this jar is dedicated to be my little luxury jar. Once this jar is full, I will change up the coins and either deposit them into my bank or get the money in notes, and I’ll treat myself to something that I wouldn’t normally justify buying for myself. Be it a fancy candle, something for the home, a meal out, or a massage. It’s so exciting to see how small actions daily add up over time. The compound effect is so powerful, and this little experiment proves this! So the next time you find youself with an empty jar after cooking dinner, instead of throwing it out; why not repurpose it and clean it out to make your very own (free!) little luxuries jar? You could even make it look extra pretty by painting it or wrapping it with some beautiful paper or ribbon! I’m really excited to see just how much I’ll end up with in this jar, and I’m going to be on the look out for what could be my little luxury treat! 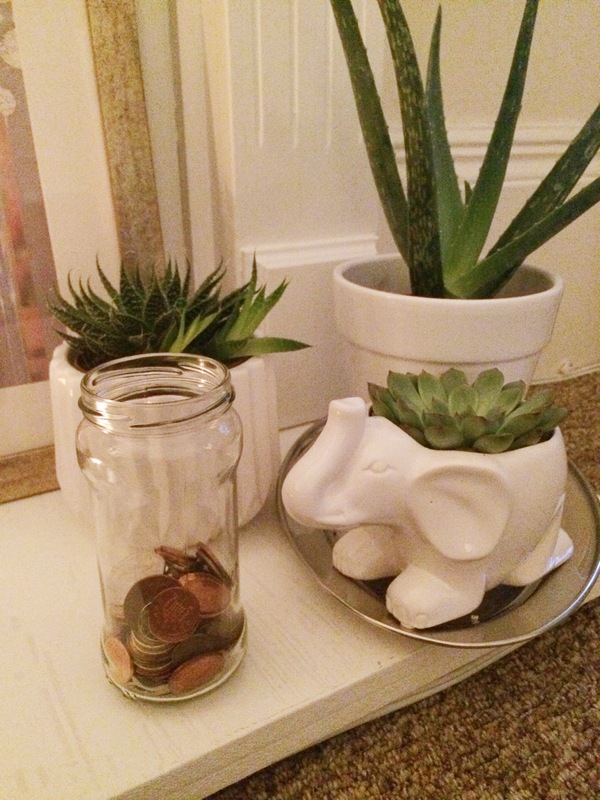 Do you have a similar savings jar? What are your plans for it once it’s full? We have a large jar that we’ve been adding coins to since January first of 2016 and we are going to be dumping it and counting on New Year’s Day of 2017 and letting the kids split it three ways (three kids, lol). It sure does add up! !